Thousands of Northeastern University alumni, students, faculty, staff, and friends recognize the impact of a great, world-class, research library in an academic community — thank you supporters! In the midst of Empower: The Campaign for Northeastern University, we are transforming higher education for today’s students and professionals. The campaign's strategic fundraising priorities include students, faculty, and innovation in education and research, and they intersect at the library. It is with the support of our donors that the library can continue to enhance the breadth and quality of its resources, bringing essential information to our scholars in Boston and across the globe. The library’s current priorities are resources and collections, digital scholarship, archives and special collections, creativity and innovation, and space, and they are all detailed in the Case for the Library. A gift of cash or check is a simple and straightforward way to give back to the library. It is as easy as writing and mailing a check or submitting credit card information through our secure online giving form. To make an online donation click the "Give to the Library" link below. Northeastern University Libraries welcomes gifts of books and other materials that strengthen, extend, or complement the collections. For more information see Gift Books. An endowment is a lovely way to guarantee Northeastern University Libraries' long-term excellence. Generation after generation, these funds ensure that students, faculty, alumni and researchers have the services and resources to reach their full potential. Endowed funds are invested by the university to generate annual income in perpetuity for the purpose you specify in order to keep it growing. For more information see Endowments. 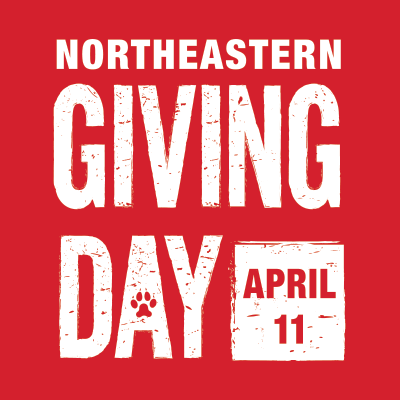 A planned gift can support the vision of the Northeastern University Libraries while helping you meet your own personal and philanthropic goals. For more information visit Northeastern University's Gift Planning website. Northeastern University Libraries provides the opportunity for donors to give back in other, unique ways. Often donors choose to partipicate in our digital bookplate program, or support our current priority projects.